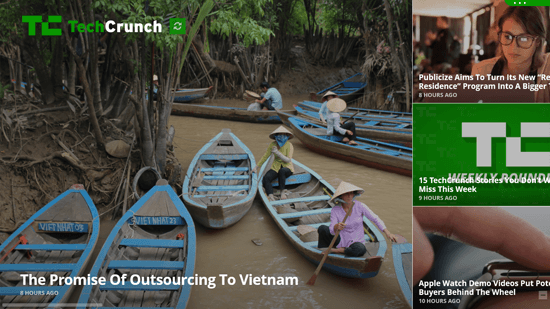 TechCrunch is a free news app for all the technology lovers, stay updated with all the technological news right from your Windows 8 and 8.1 desktop. TechCrunch is a website dedicated to news related information technology, it covers all the big and small names whether they are merely a startup or established firms. TechCrunch covers it all when it is about anything related to even small or big technology news. The user-interface of TechCrunch has been kept clean, minimal and organized. You can see the most recent post of TechCrunch on the startup page’s left side in a long tile. The small yet large enough tiles showcase different latest articles from different genres of technology news followed by TechCrunch TV, the categories and saved news articles by you on the app. 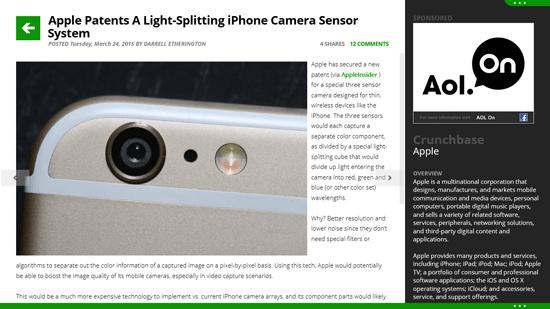 The article TechCrunch are readable with clear fonts, decent size of both content and the images. The app also shows recommended or suggested articles below the article you would be reading, according to what you read previously on the app. Menu of TechCrunch can be toggled from top right green button that has three dots on it. The menu consists of Main, News, TC TV and Saved. These menu options have individual sub-categories that can help you choose a specific news category. Beside the logo of TechCrunch there a small refresh button that can refresh the app and then show you the latest updates made on the website of TechCrunch. The TechCrunch app has sideways scrolling, just like the native scrolling style integrated by Windows 8 and 8.1. TechCrunch is a perfect technology based news app for all the technology lovers, who don’t like to miss even a single news about gadgets, mobile, social, gaming and other genres. Other news apps you can check out are all-in-one and news 360. With all the content from TechCrunch being available right on your desktop and having access to every content for free, it is highly recommended to have TechCrunch news app on your Windows 8 and 8.1 computer.